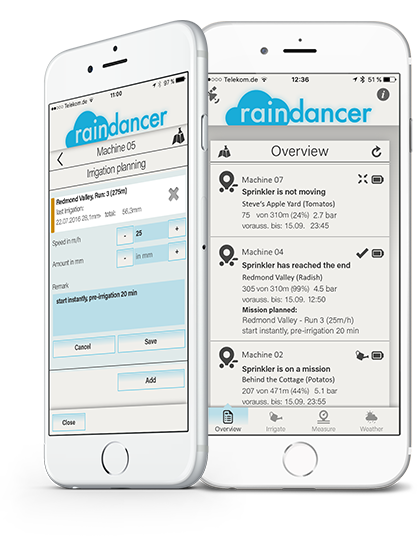 Easy to use irrigation fleet management on smartphone and PC. 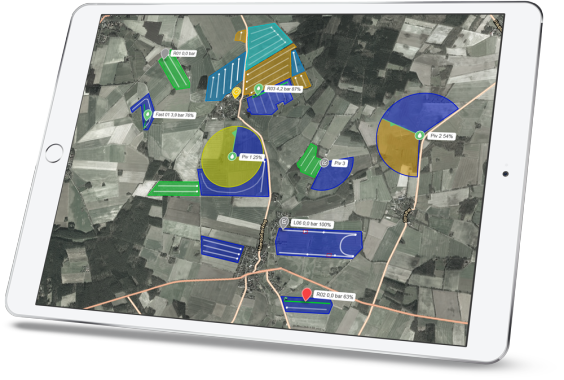 Build your upcoming relocation plan on base of detailed data so you achieve the most effective Irrigation that is possible. The employees will find the correct lane without any problem, even in difficult areas. You will keep the complete overview over all your planned activities. Pumps can be started and stopped via smartphone at any time. 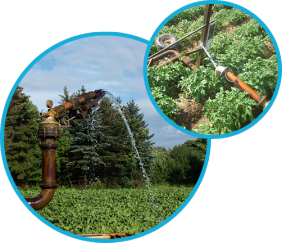 In irrigation networks, pumps will be switched on and off automatically and frequency controll is optimized. The Irrigator can be started and stopped. just stop via your smartphone. according to user-defined soil conditions.